Yetis form a major part of my life. But until now I didn’t have my own suit. I was only half a man. So, with the launch of my 4th Mythical 9th Division book, the Alien Moon, just around the corner on 3 May, it was time to rectify the matter. Now all the available suits out there are pretty nasty – both in their angry nature, and in their finish. But I had to start somewhere, so I bought this suit for the body, hands and feet. They’re actually pretty good, and the inflatable shoulders are a winner. BUT, and this is a big but, the mask was quite horrible to wear. It was really claustrophobic and sweaty. It also wasn’t really suitable for use in school visits. I want the kids to think it’s smart (or to use the correct terminology, ‘sick’), not terrifying. So, where to start. 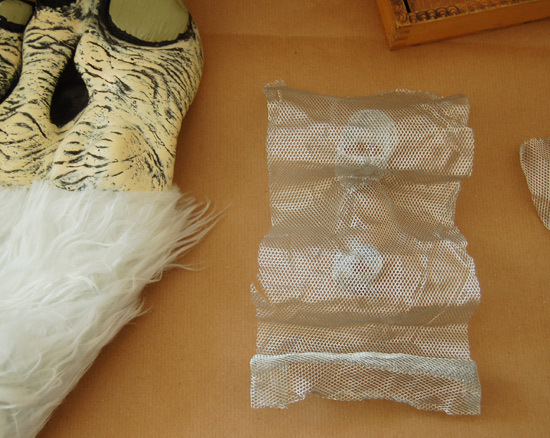 This is what I wanted the mask to look like – my yeti, Timonen. …I got cracking. From there I built up the clay until it looked right, and then baked it to set it hard. 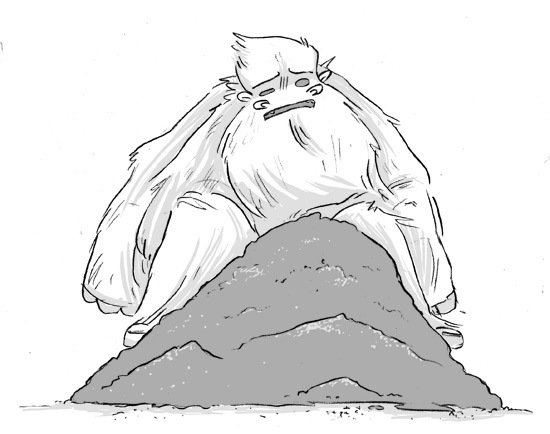 And here it is, the positive impression of a yeti face. Now, to make a rubber version of the face, I’d need to turn that positive impression into a negative. I needed to make a mould. There are many options you could choose, but I wanted the easiest possible method. 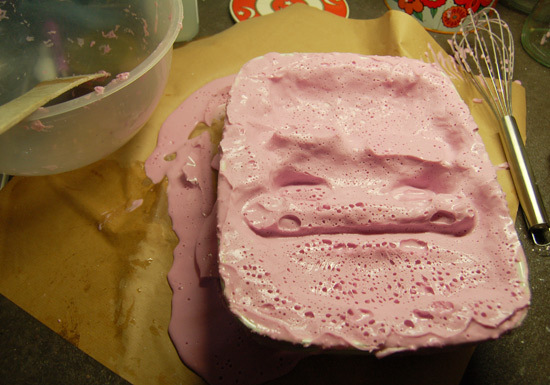 I picked Alginate. This stuff is used for taking casts of teeth, so it’s very friendly and quick setting. 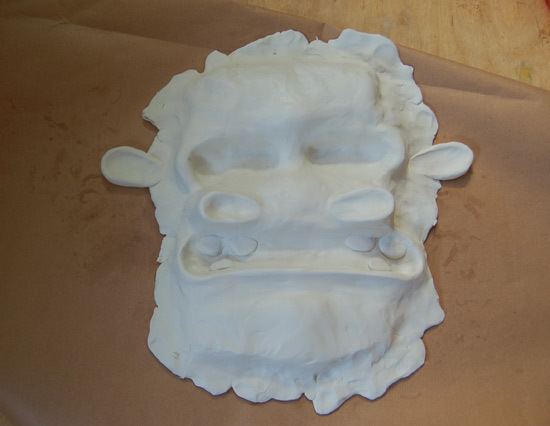 As the mask was just one side, I could create a sort of Alginate bath and push the yeti face into it until it set. That’s exactly what I did, as you can see here.